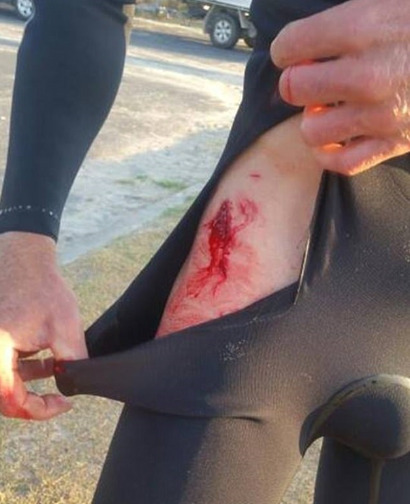 A surfer was thrown into the air and his board snapped in a suspected great white shark attack off Australia's east coast Sunday that left him with bloody cuts to his right hip. 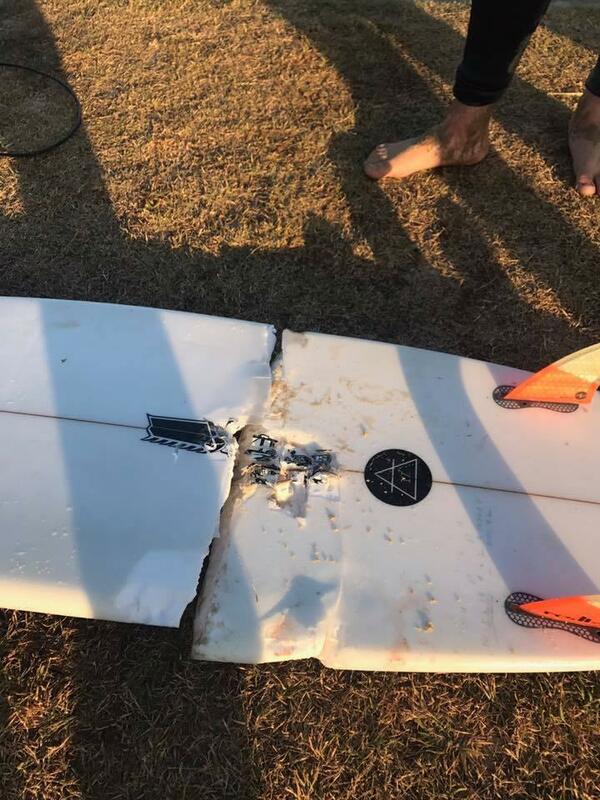 The man, named in local media at Abe McGrath, was surfing at Iluka in New South Wales early Sunday when his board was hit from below by what he assumed was a shark, police said. "As a result of the impact, the board has snapped. The injured victim has gone into the air and then re-entered the water," police said in a statement. "He has told police the shark began to circle and then turned away." McGrath's friend Bryce Cameron said he was "pretty much the luckiest man on earth right now", with the marine predator suspected to be a great white. "He got a good look at it. He said it was a 3.5-metre (11.5-foot) white pointer. In the big scheme of things that is a juvenile but it is still big enough to kill," Cameron told Brisbane's Courier Mail. "Abe was left floating in the water with a couple of teeth marks on his body. He scrambled in the water and got washed in by the next wave."